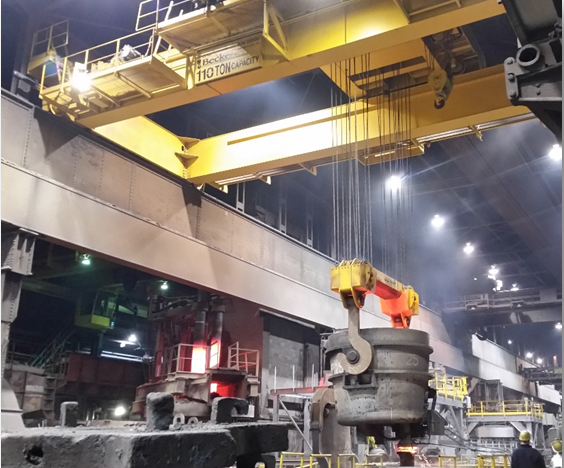 Proud to be an Executive Member of the Crane Manufacturer’s Association of America, we design and manufacture custom overhead cranes, hoists and components to CMAA Specifications (Class “A” through “F”) or AIST Technical Report #6. 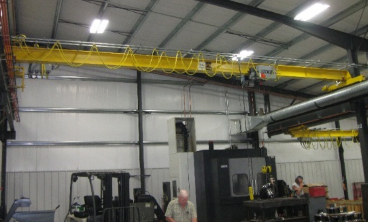 We utilize our knowledgeable in-house team of mechanical, structural and electrical engineers to offer application assistance, custom design engineering and manufacturing of overhead crane products with our customers’ needs first and foremost. Empowered with highly trained and qualified technicians, G.W. 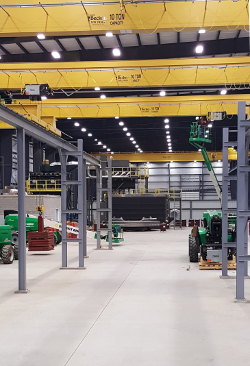 Becker, Inc. provides self-performing installations, inspections and field service repairs for all makes and models of overhead cranes; providing compliance with local regulations and ensuring a safe and productive material handling operation. Staying true to our mission and values, we strive to understand our customers’ needs and deliver specialized expertise and long-term planning solutions for the unique challenges of purchasing and maintaining overhead crane and hoist equipment. Brands: G.W. Becker, Inc., Yale, Shaw-Box, Budgit, Coffing, CM, R&M, ACCO, Louden, Gorbel, Conductix, Duct-O-Wire, Gleason Reel, Hubbell, EC&M, Cutler-Hammer, Magnetek, Power Electronics, Caldwell, Crosby, Cattron, Remtron, Femco, and more…. To The Customer: To become an extension of our customers management team in the area of Cranes/Overhead Material Handling Systems, providing premium products and quality service. To Our Team: To provide a safe, fair, and diverse employment environment with growth opportunity in which any employee can develop and work toward achieving both personal and professional goals. G.W. 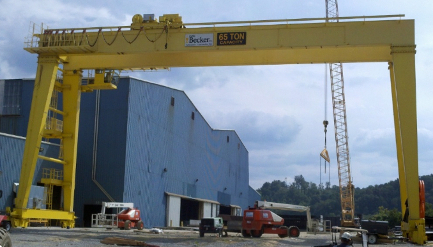 Becker, Inc. offers a full spectrum of overhead crane related products and services. G.W. 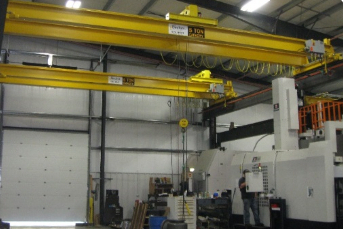 Becker, Inc. provides specialized expertise and long-term planning solutions for the unique challenges of maintaining overhead crane equipment. 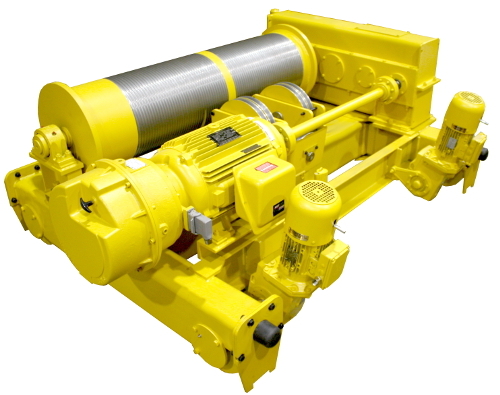 We have positioned our company to offer application assistance, custom design engineering and manufacturing of overhead crane products with our customer’s needs first and foremost. 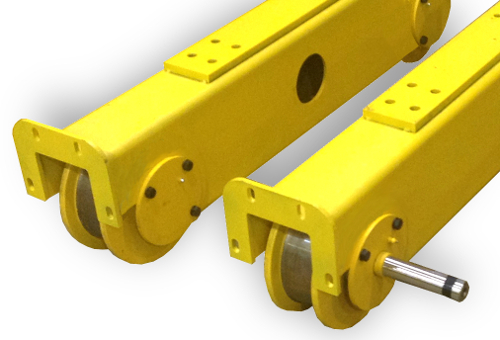 Our breadth of capabilities provide efficient and cost effective solutions for all overhead material handling requirements.